Fred Hutchinson Cancer Research Center recently received an $11 million life science research grant from the National Institutes of Health to fund the HIV Vaccine Trials Network. The organization within the NIH providing this latest round of life science funding is the National Institute of Allergy and Infectious Diseases. 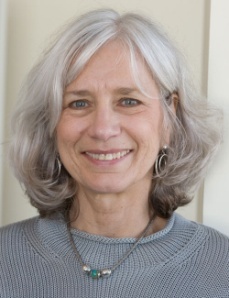 Project leader Dr. Margaret Juliana McElrath is a professor of medicine at the University of Washington. Her research lab studies are focused on identifying and characterizing cellular immune responses that may help protect patients against HIV infection or disease. In addition to receiving this latest life science research grant, Fred Hutchinson Cancer Research Center received $199.1 million in life science research funding from the National Institutes of Health in 2013. That same year, the National Science Foundation awarded Fred Hutchinson $1.4 million. Lab suppliers working to increase lab sales in Washington should look no further for life science marketing opportunities than Biotechnology Calendar, Inc.’s life science vendor shows. Our BioResearch Product Faire™ Event at Fred Hutchinson Cancer Research will take place on August 19th, 2014. Biotechnology Calendar, Inc. is a full-service science research marketing and events-planning company that organizes life science vendor shows at top research institutions across the country. If you are interested in exhibiting at a life science vendor show closer to home, we encourage you to view our 2014 calendar of events. For more life science research funding information on Fred Hutchinson Cancer Research Center, or to learn more about our Fred Hutchinson life science vendor show, click on the button below.